Russian Parliament ratifies WHO's FCTC. 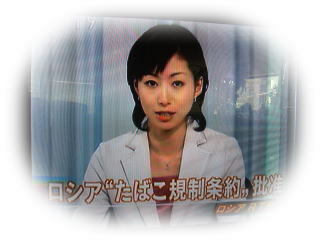 NHK BS on April 12, 2008 broadcasts Russia is to ratify FCTC. 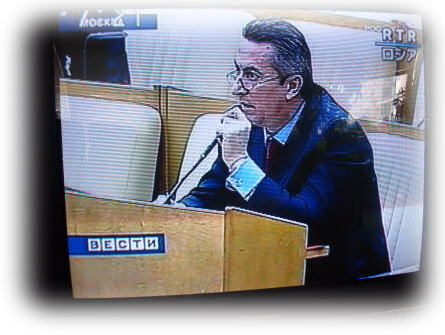 (L) A member of Russian parliament is talking to a tobacco company not to disturb their effort to restrict the tobacco use. (R) The 99.3% of diet members voted yes to ratify the WHO treaty (FCTC). 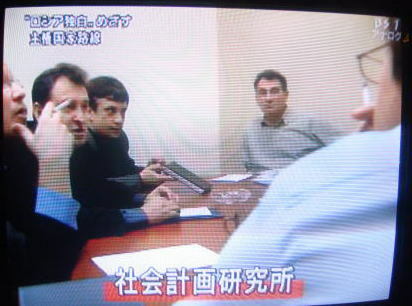 The picture shows a smoking scene during a discission at a research institute in Russia. The lower house of the Russian parliament has ratified the WHO's FCTC to ban smoking in public places. are two of Russia's important public health problems, contributing to the country's declining average life span. Source: BBC NEWS November 12,2004. Russian lawmakers consider public smoking ban. the average life expectancy for men is under 60, far lower than in western Europe, and the population is declining. drink more alcohol, as indulging those habits can apparently do wonders for the local economy. (mostly vodka) each year, the price increase is likely to be unpopular. jointly works in partnership with a mafia to collect a money from a citizen. All guest rooms are smoke-free. from leading cigarette makers of Philip Morris International Inc. (PM) and British-American Tobacco Plc. (BATS). consumer rights,' Deputy Health Minister Sergei Velmiaikin told reporters today in Moscow. a year, or 2.5 percent of gross domestic product, because of premature deaths caused by smoking. and Philip Morris, according to the companies. 143 million Russian people are habitual smokers, compared with 28 percent in China and 19.3 percent in the U.S.
and save 200,000 lives a year. advertising cigarette, is too draconian, while kiosk sales will only end up hurting small businesses. the country's lower house of parliament, voted at its first reading, with 429 in favor and two abstentions. after China. 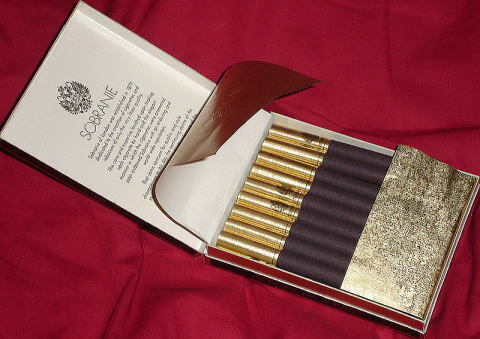 The cigarette market was estimated at be worth around $22 billion in 2011 by Euromonitor International. the excise duty on tobacco by around 40 percent for 2013 and 2014, and by 10 percent a year, after 2015. 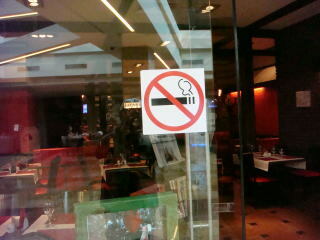 All restaurants will be smoke-free by 2014 in Russia. which were backed by Prime Minister Dmitry Medvedev. 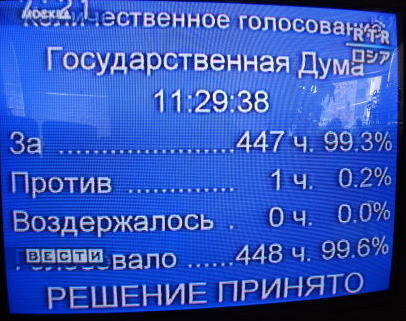 Lawmakers in Moscow approved the bill by a 441-1 margin. according to a lawmaker. 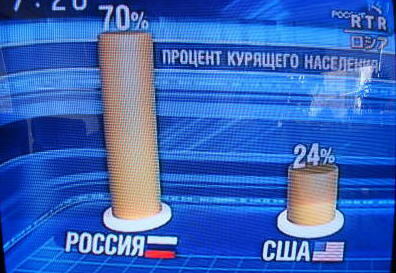 Some 39 percent of Russians are regular smokers, according to the WHO. 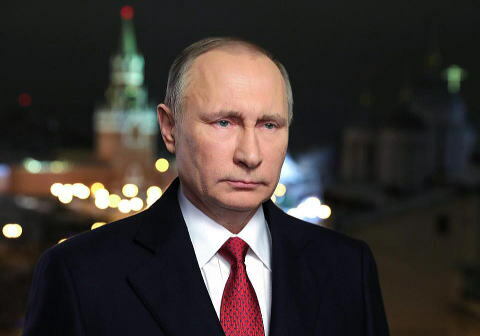 President Putin signed law to curb smoking, tobacco sales in Russia. Lt's cut off fishing hooks. 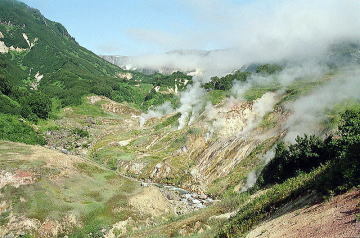 Photograph was taken by Akiyoshi Komaki, Asahi Shimbun. 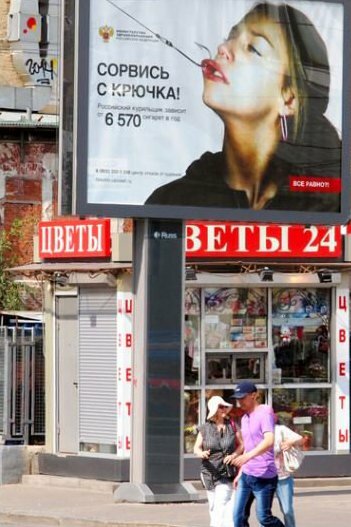 restrict advertising and set minimum prices for cigarettes, which now cost 50 to 60 roubles a pack (less than $2). estimated to be worth $22 billion in 2011 by the market research company of Euromonitor International. comprehensive new tobacco control laws. to restrict tobacco industry interference in public health policy. 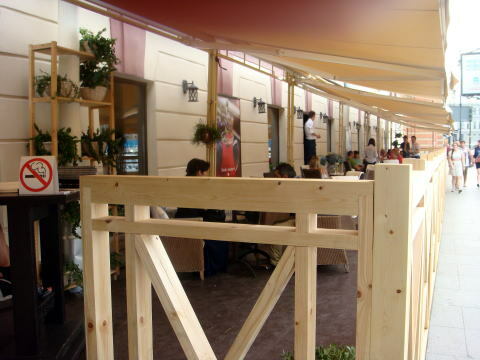 be extended to hospitality venues, including hotels, cafes, bars and restaurants and long-distance trains. In addition, sales of tobacco products will be banned in all rail stations, airports and other transportation hubs. Comprehensive legislation could save millions of lives and be a model for Eastern Europe. The left picture, we can easily understand that smoking causes impotence. The right picture that shows two hands with string means that smoking causes nicotine addiction. On the front side, there is the same health warning that emphasis the fact smoking kills users. 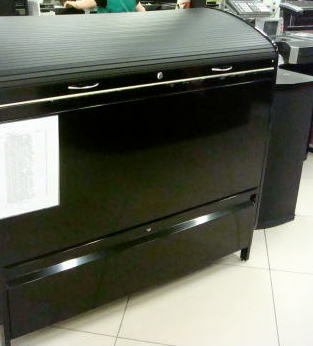 Tobacco has been struck by being put in a black big box, like as the coffin. (L) No one can see a cigarette unless a smoker asked to specify the name of tobacco product to buy. 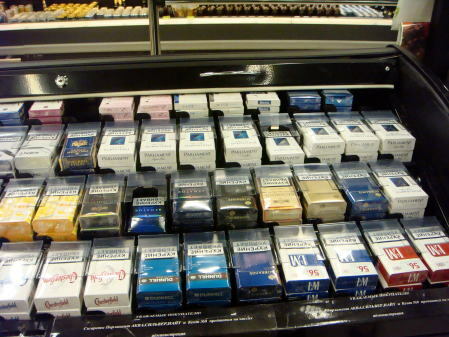 (R) When a shop clerk opened the top, a series of cigarette can be seen at the first time. These photos were taken by Dr. J. Miyamoto at Moscow in July 2014. Smoking ban comes into effect in Russia. 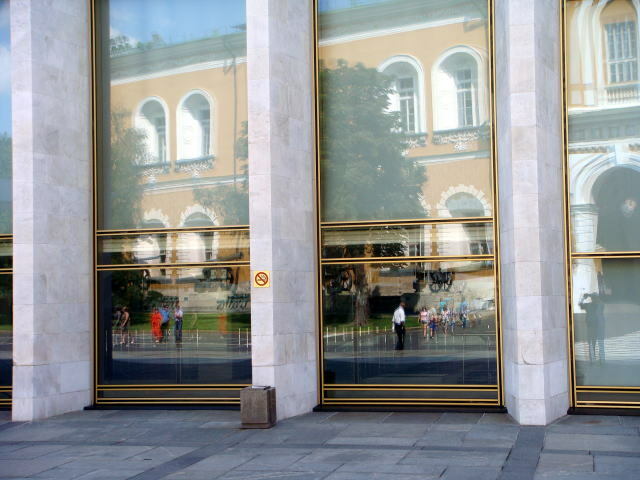 A non-smoking sign posted outside of the State Kremlin Palace. trains and hotels, will only come into effect one year later. 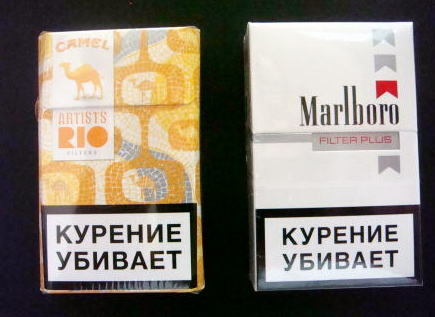 and minimum prices will be set for cigarettes, which currently cost from just 40 rubles ($1.30) a pack. the population from the harmful effects of cigarette smoke and the consequences of tobacco consumption"
and government buildings will be restricted, and tobacco advertising and sponsorship forbidden. Graphic warnings will become compulsory. 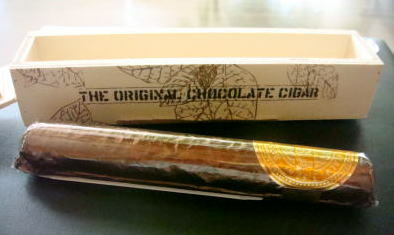 This 'cigar' product is safe. 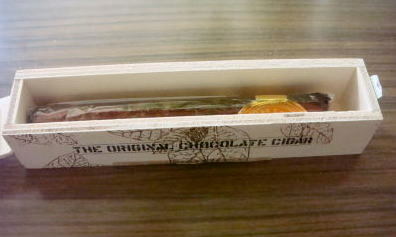 The actual content is chocolate. born after 2015 from ever buying cigarettes. Young Russians born this decade faces complete smoking ban. 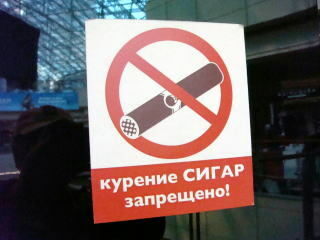 at the moment, but it could mean smoking eventually becoming illegal for all Russians. 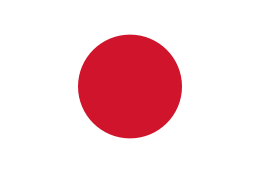 Japanese Government is to promote a policy of the opposite. 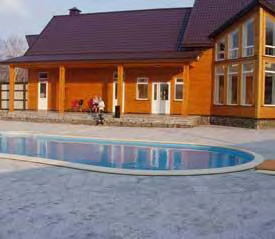 from the present 25% to50% of the whole construction fee. These articles were written in April 2008, and last revised in July 2017, by Junhaku Miyamoto, M.D., PhD.